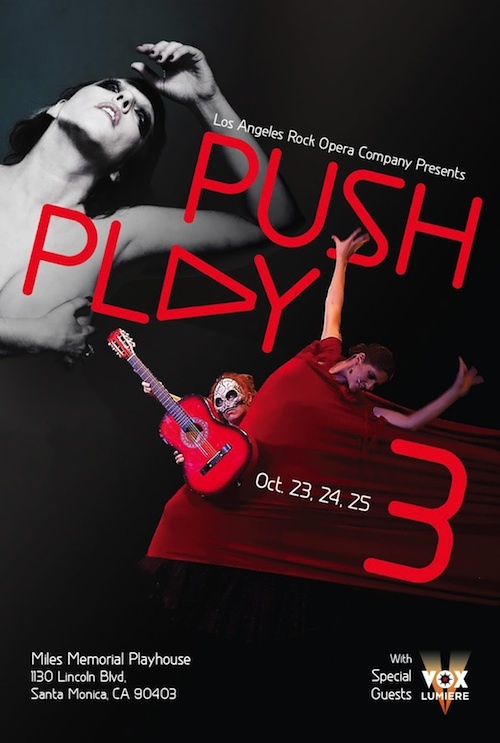 Push Play 3 is a sampling of LA Rock Opera's projects currently in development at the Miles Playhouse in Santa Monica on Friday, Saturday and Sunday, October 23, 24, and 25. Directed and choreographed by Janet Roston, Push Play 3 pulsates with an eclectic evening of live music, theatre and dance that illustrates the mission of LAROC's Artistic Directors, Mark Governor and Janet Roston to produce innovative, contemporary Rock Opera that represents the cultural and ethnic diversity in our community while illuminating our shared world history. Included in the evening’s performance are two works in development, Anais, A Dance Opera and Possession: The Legend of El Rojo. POSSESSION: THE LEGEND OF EL ROJO, written by Mark Governor and Marc Sambola, incorporates folklore and iconic characters to create a timeless tale of love, betrayal and redemption all centered on the power of a mysterious red guitar. Carlos, a poor young man passionately longs to marry Carina who refuses him. Desperate for her love, he follows the instructions of the mysterious Senor Rico and falls under the curse of the enchanted guitar, “El Rojo." This compellingly fresh Spanish style folktale is a magical exploration of the depths to which one man will go to win a woman's love all told through music, song, and dance lead by a live gypsy guitar and band. Possession is an international collaboration between Los Angeles based composer Governor and Barcelona composer Sambola. ANAIS: A DANCE OPERA, written and composed by Cindy Shapiro, utilizes dance, music, and projections to explore prolific diarist, proto-feminist, and sexual adventurist Anais Nin’s emergence as an important and influential literary figure through her explosive relationship with novelist Henry Miller. Initially Nin and Miller found they shared an extraordinary passion for the written word. As the affair unfolded Miller's support enabled Nin to uncompromisingly express, through her writing, her emotions and sexuality. Six dancers and vocalist Cindy Shapiro present the profound and powerful story of Nin’s relationship with her banker husband Hugh Guiler, her lover Henry Miller and their life with the cultural giants of 1930’s Paris. The Anais Nin Trust has given the production access to the Nin archives and in addition is being advised by the foremost Nin scholar, Paul Herron. The composers of both pieces along with director Janet Roston share the belief that music, song and dance transcend borders and cultures to create a common human experience. Free Open Community Dance Class. Sunday, October 25th, 3:00 - 4:00 PM. For all levels of dance! Learn repertory from “Push Play 3” and create your own movement story. 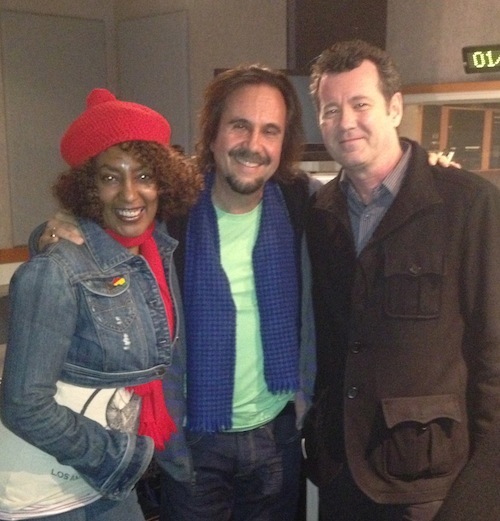 Hear HONEY NOIR being interviewed by Sergio Mielniczenko on KPFK's Global Village program on January 4, 2013. Includes and acoustic live performance by Bridget and Mark of the songs "Forgiveness" and "Cry" from the upcoming Honey Noir full album.